Perfect location and comfortable room. Great value for money + excellent breakfast included (from sweet to salty choices - however the coffee was not so great). Location with regard to where I had a meeting, cleanliness. Very clean room, comfortable bed and friendly staff. Free wifi and 24 hour tea & coffee! Staff very friendly and helpful. Very easy check in and a great size room. Good facilities in the bathroom with shower over the bath. Very clean and tidy. Great breakfast, nice place, very positive and polite people! The location was okay. I can not thing anything else to be counted as good. Good value for money. Good continental breakfast. Nothing special, but fair price and kind staff. On the trendy Avenue Louise in Brussels, the ibis Styles Brussels Louise has rooms with a flat-screen TV and free facilities including Wi-Fi, breakfast, as well as tea, coffee and water in the lobby. The hotel also features a business lounge with computers. All of the rooms at ibis Styles Bruxelles Louise have a modern bathroom, as well as their own design item, like an exclusive mirror or a limited edition chair. Guests can buy refreshments from the hotel's bar. There is a tram stop across from the hotel and the Louise Metro Station is a 15-minute walk away. The Horta Museum is a 10-minute walk from the hotel. Brussels' Grand-Place and the Manneken Piss Statue are 2 miles away. 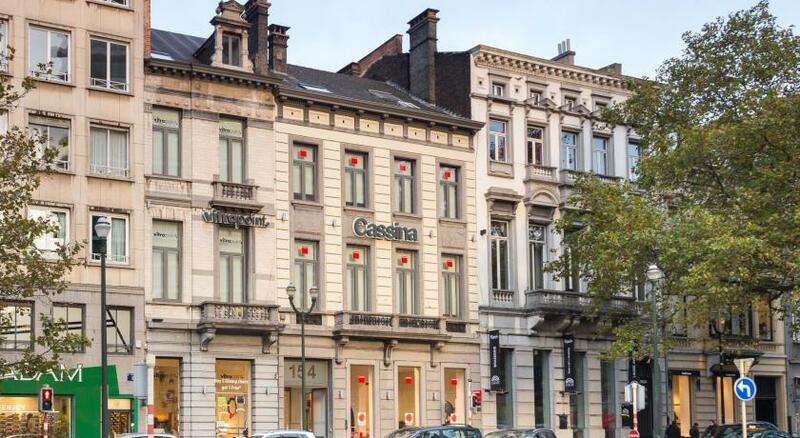 When would you like to stay at ibis Styles Hotel Brussels Louise? Modern décor with designer furniture characterizes this room. It also includes flat-screen TV and a bathroom with both a bathtub and shower. This spacious room comes with a flat-screen TV and a private bathroom. This spacious room comes with a Nespresso coffee machine, a flat-screen TV and free Wi-Fi. It has a bathroom with a shower. A small welcome gift is provided. House Rules ibis Styles Hotel Brussels Louise takes special requests – add in the next step! ibis Styles Hotel Brussels Louise accepts these cards and reserves the right to temporarily hold an amount prior to arrival. The hotel bar does not have a full-time barista and guests can request service at the reception when necessary. We were at first checked in a dirty room. bust reception was quick to give us anew one. Breakfast was terrible, I actually had food poisoning immediately after breakfast. I think it was the cold cuts. It is one of worst breakfast I ever had in hotel. Breakfast was a bit underwhelming on the last day with no cut up fresh fruit or pancakes. The room was dark, cold and so noisy. Bathtub was badly designed and water was everywhere in the bathroom after a shower. The breakfast was far away from being fancy. There was really limited staff whom can fulfill all requests. Breakfast is poor. Internet is slow. The bathroom is uncomfortable. The room was very cold. Our room was quite colt, but the staff helped us to overcome the issue with a mobile heater. Clean and comfortable room with all that was needed for a short stay. Great breakfast and 24/7 access to coffee, tea, hot chocolate. Problem with air conditioneer, I did not have the heat in the room as i expected. Located very well near city center, you can reach very easy the centre by tram. Good breakfast as well. The bedrooms are a little shabby and could do with a good clean and lick of paint. Our bathroom had holes in the wall that were patched up badly and the plaster for the tiles was badly done. Accessories are old. The location is great and the reception staff are fabulous. Nice lounge and dining area. Breakfast was good. The beds are extremely comfortable. Good base for meetings. Breakfast well stocked. The place where you shower is too small and the heater / air conditioner, is not too bad but could be better. Organized, clean, polite staff, food simple but good quality. Excellent service!